The Men’s EHF Champions League will continue with four top games. 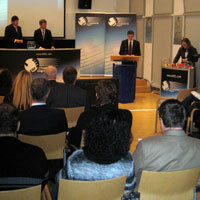 The pairings for the Quarterfinals of the EHF Champions League were drawn in the EHF Headquarters, Vienna. The exact playing times will be published in the upcoming days after consultation with TV partners.